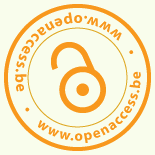 During the international Open Access Week 2015, themed “Open for Collaboration”, the Belgian universities, with the support of the Royal Library, jointly organize a two-day event entitled “Research Impact through Open Access: Explore new opportunities”, on 21st and 22nd October 2015 at the Royal Library in Brussels. Anyone can attend the event although the sessions and workshops are primarily intended for PhD students, postdocs and (junior) professors. Registration is compulsory but free of charge. All sessions are English-spoken.